Working with the best groups from all over the UK, New Diorama help grow both the artist work and the organisational skills of each group we programme, and we annually work with and support over 70 companies a year. When we opened just over seven years ago we wanted to find ways of overcoming the many challenges and hurdles early-career theatre companies face. When we launched our Artist Development Programme back in early 2016, we were overwhelmed by the response it garnered. Since then, we have listened to artists, learnt how to improve our offer, and have worked hard to find new ways to support our artists in tangible and meaningful ways. The result of this is our most ambitious Artist Development Programme to date, which aims to tackle these issues head on, finding new solutions to old problems and presenting completely new ideas and partnerships that we’re proud to be pioneering for the first time. We’ve broken it up into three areas. We’re always on the look-out for the best new groups that we can programme and begin a relationship with. We’ve devised a whole host of ways that theatre companies from across the UK who we’ve never worked with before can begin talking to us. For the theatre companies we are already supporting we have worked hard to create a whole host of new initiatives, funds and opportunities to support their work. And, to deliver all this work, we’re partnering with theatres from across the UK. Our national footprint has never been greater and over the next few years, we’ll be bringing work to London that, without our support, would never be able to perform in the capital. 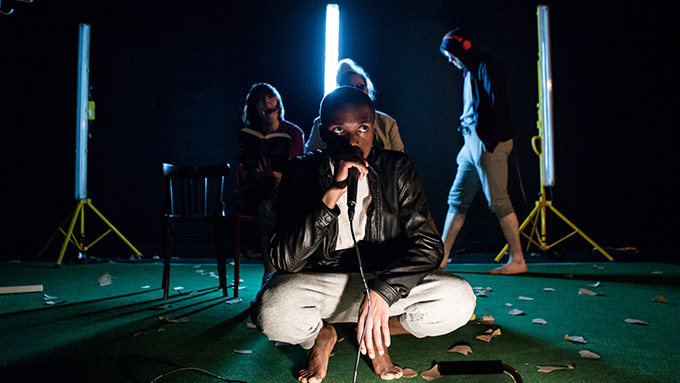 New Diorama Theatre's 2018/19 Artist Development Programme is supported by Arts Council England and sponsored by the Mandy Network.